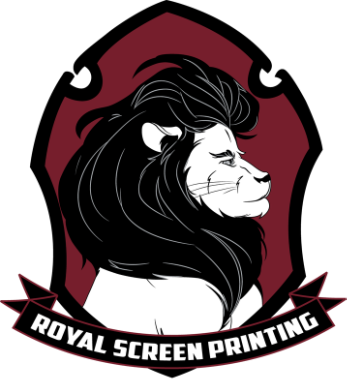 Here at Royal Screen Printing we pride ourselves on producing high quality graphic apparel for all of our customers needs. We offer several services other than silk screening including, embroidery, vinyl decals, promotional products ( ie. pens, mugs, bags etc. ), and much more. We offer a quick five day turnaround for all screen printed orders placed. We also offer rush orders for our customers convenience, many orders can be ready the next day. 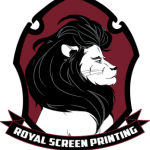 We are a family run business with over a decade of screen printing experience with quality being our number one priority. Additionally we are equipped with the pantone mixing system. This will allows us to match the exact colors requested by our customers. In an effort to ensure customer satisfaction we e-mail digital proofs for our customers to sign off on before we begin production.